Houston, we don't have a problem. We have a very good thing. 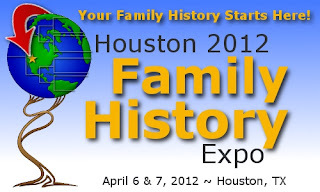 The Houston Family History Expo will roll into town April 6 and 7, 2012. What is a Family History Expo? It is part exhibit hall, part classroom learning, part meeting other genealogy enthusiasts, part fun. If you have an interest in family history, if you're just starting out, if you haven't even started but you're curious, then this event is for you. The Houston Family History Expo is at the Houston Marriott South at Hobby Airport. Check out the agenda. Lots of great sessions. 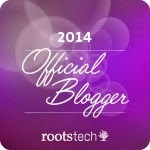 Learn about the bloggers who will be covering the event. I will be at the Houston Family History Expo as a blogger and enthusiastic attendee. Won't you join me there? I'll be there. Stop by the Genealogy Gems booth where l'll be working and say hi. I'll keep my eyes peeled for you.